Between Them, A Blind man and a Double Amputee Have Planted 10,000 Trees. Jia Haixa talks of his symbiotic relationship with his friend Jia Wenqi — a double amputee. 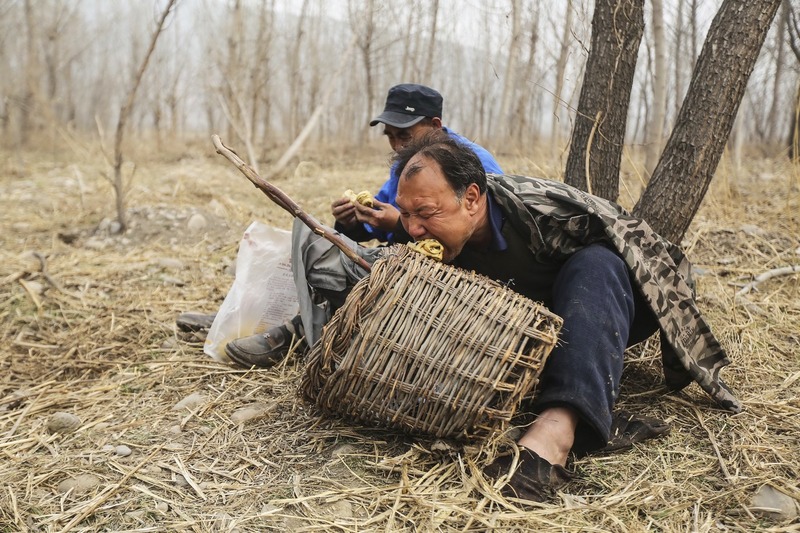 The pair work together to plant trees in Yeli village, just outside of Shijiazhuang city, northern China. 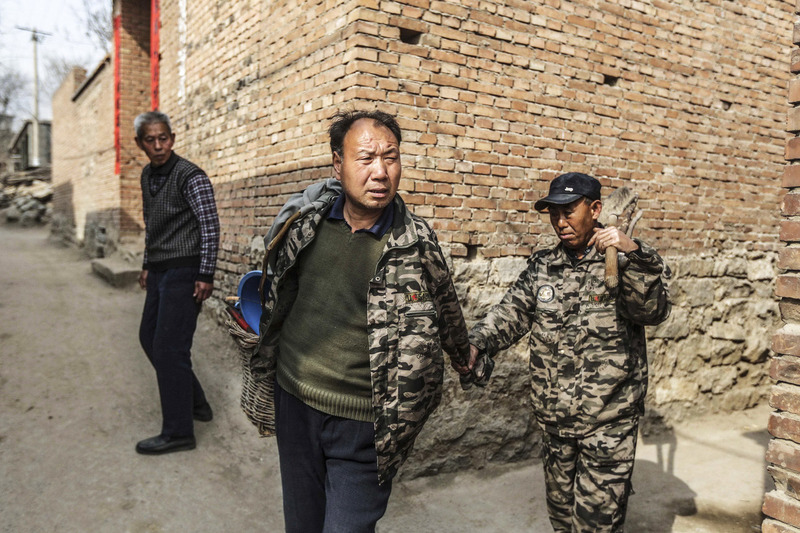 Losing his sight in one eye to congenital cataracts, and later his right eye in a work-related accident, Jia Haixa is completely blind. The friends approached the local government and leased a 7.5 acre stretch of land along the riverbank. 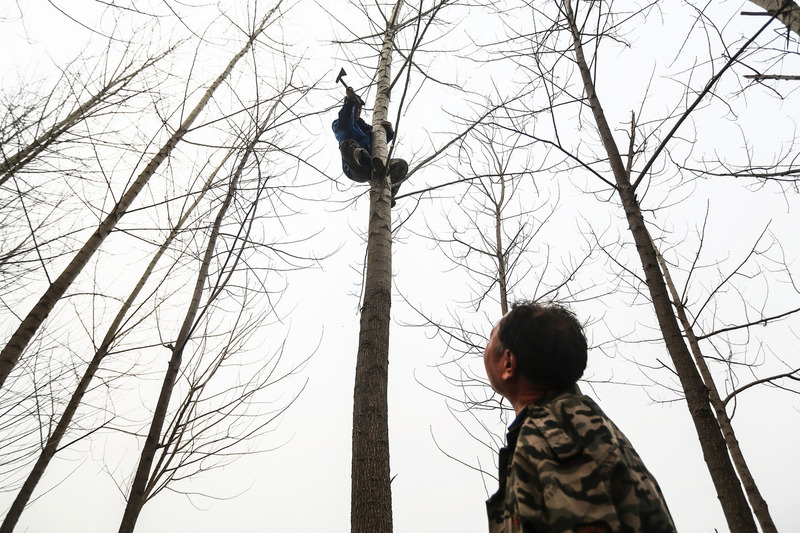 They hope to transform it by planting 1,000 trees every year, and have done that for a decade. 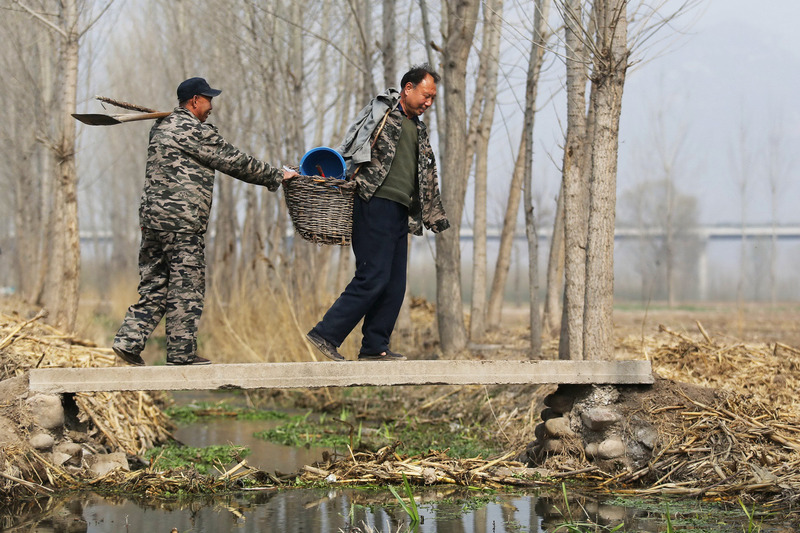 Jia Wenqi guides his blind friend with one sleeve of his coat across a bridge over a channel on their way to planting trees. Jia Wenqi watches as Jia Haixia chops branches from a tree. 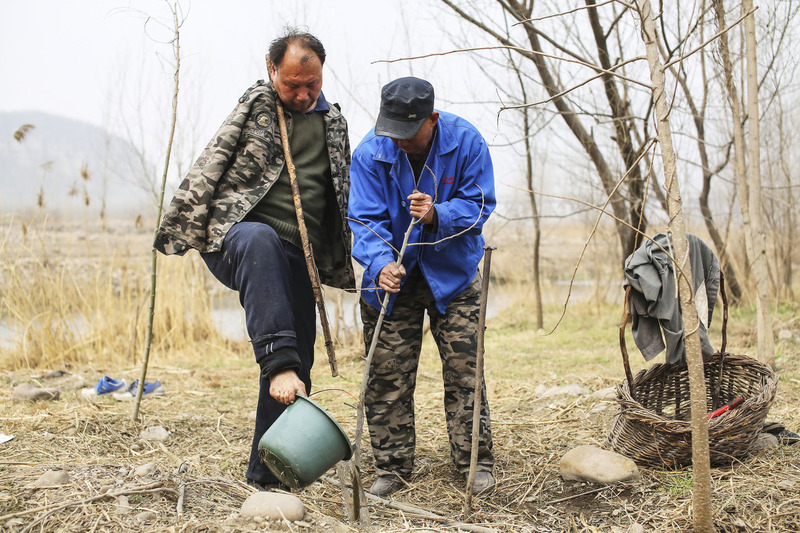 Jia Wenqi uses his foot to water a sapling with a bucket. He and his friend planted the sapling themselves in Yeli village. 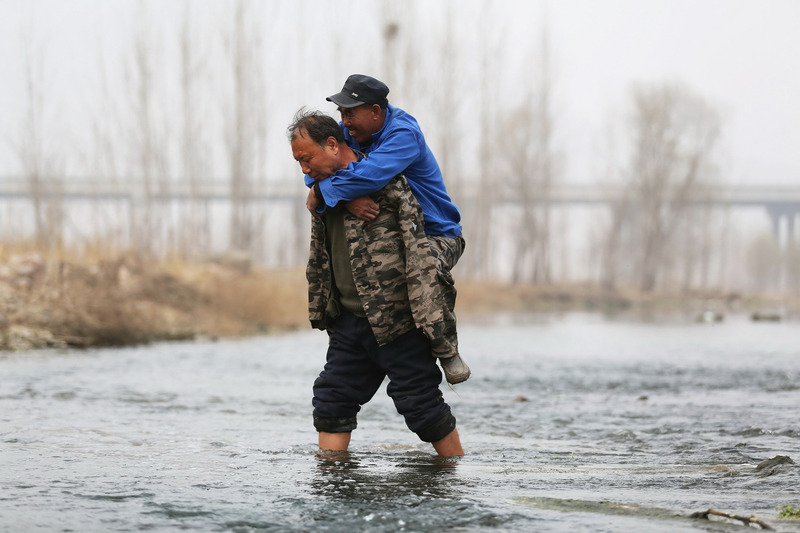 Jia Wenqi carries Jia Haixia on his back as they cross a river. 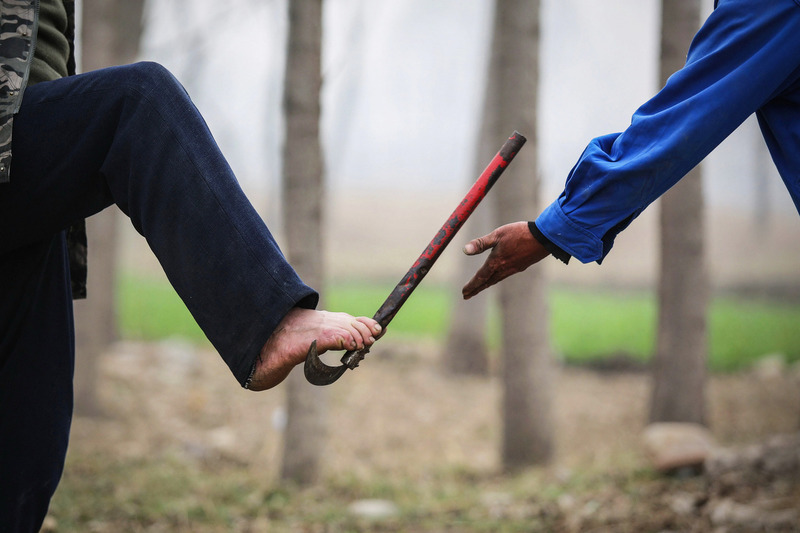 Jia Wenqi uses his feet to hold objects and pass things to his friend. Jia Wenqi passes a reaphook using his foot. Jia Wenqi and Jia Haixia eat food during a break from their tree planting. 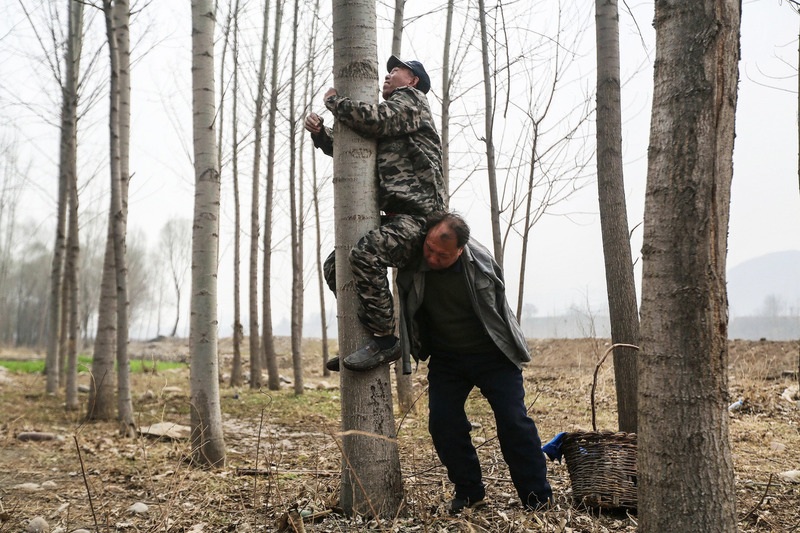 Jia Wenqi uses his shoulder to help his blind friend Jia Haixia climb a tree they planted, to hew branches in Yeli village. 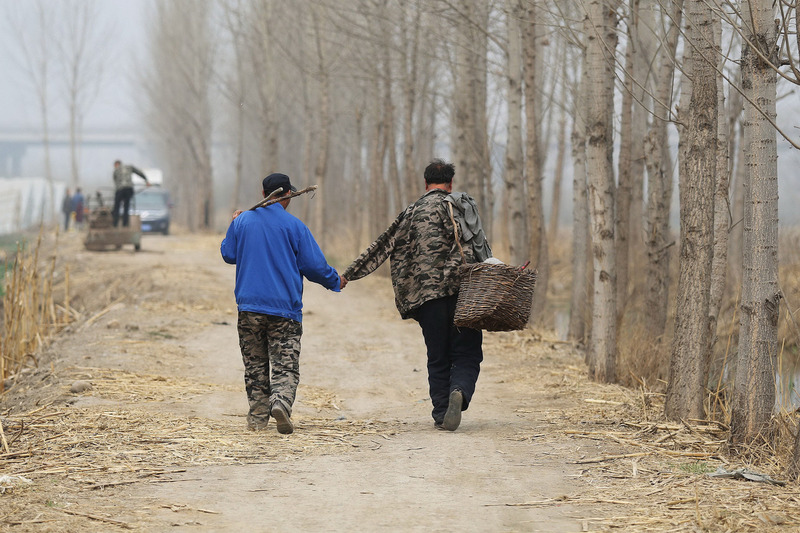 Planting the trees helps them to earn money, having both struggled to find work individually due to their handicaps. They also hope to help future generations with their environmental efforts. Fortunately, the local authorities allow them to live rent-free, which is a great gesture given their poor living conditions. Hey 🙂 Have you tried the share button for FB below?